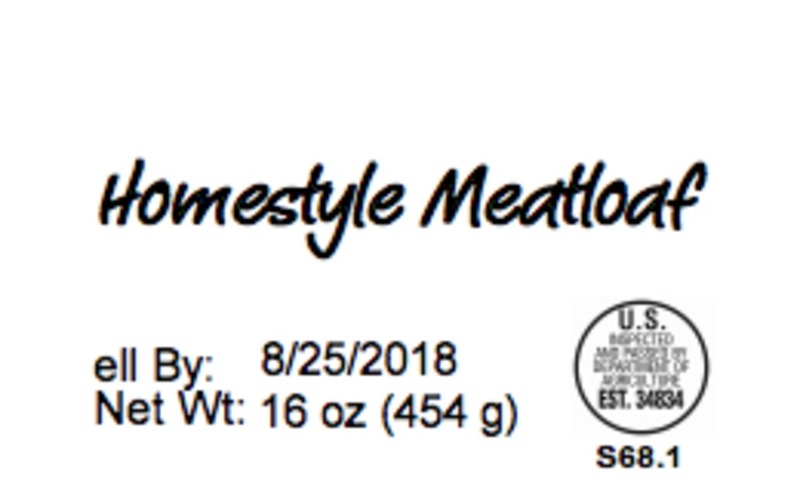 Taylor Farms Northwest, LLC is recalling their ready-to-eat "Homestyle Meatloaf" due to "misbranding" and "undeclared allergens" the U.S. Department of Agriculture's Food Safety and Inspection Services (FSIS) announced today. The Turkey Meatloaf with Kale product contains known allergens -- anchovies and milk -- which are not declared on the product label. Sixty-two pounds of 16-ounce clear containers with a "Sell By: 8/25/2018" on the front packaging are being recalled. The products were produced on August 19, 2018. The problem was discovered on August 20, when an employee did an inventory check and realized the mislabeling of the Homestyle Turkey Meatloaf. So far, the FSIS says there have been no reports of "adverse reactions due to the consumption of these products." Customers with questions about the recall can reach Taylor Farms Northwest, LLC at (855) 455-0098.